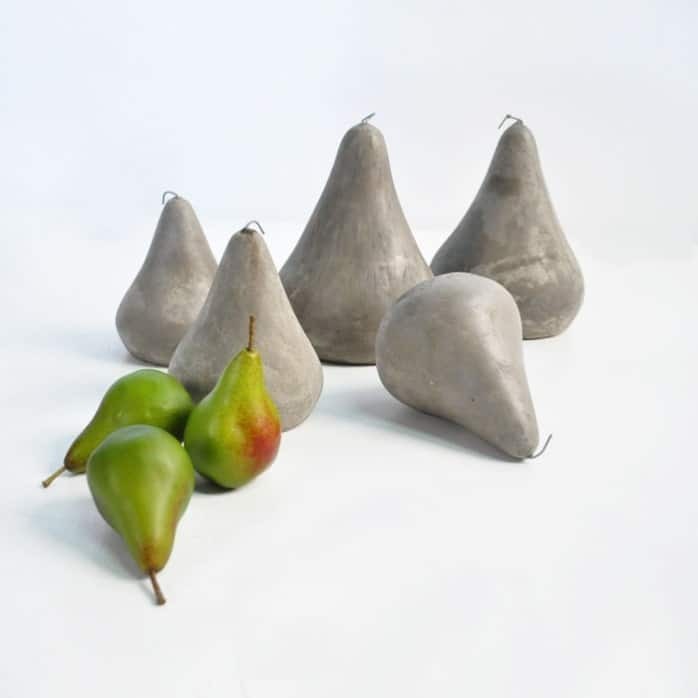 Raw Concrete Pears make a charming centrepiece, mantel or garden decoration. Give them as gifts as bookends or paper weights. The raw concrete grey colour plays beautifully against the greenery in your backyard. Choose and option for prices and sizes. Each piece sold separately.